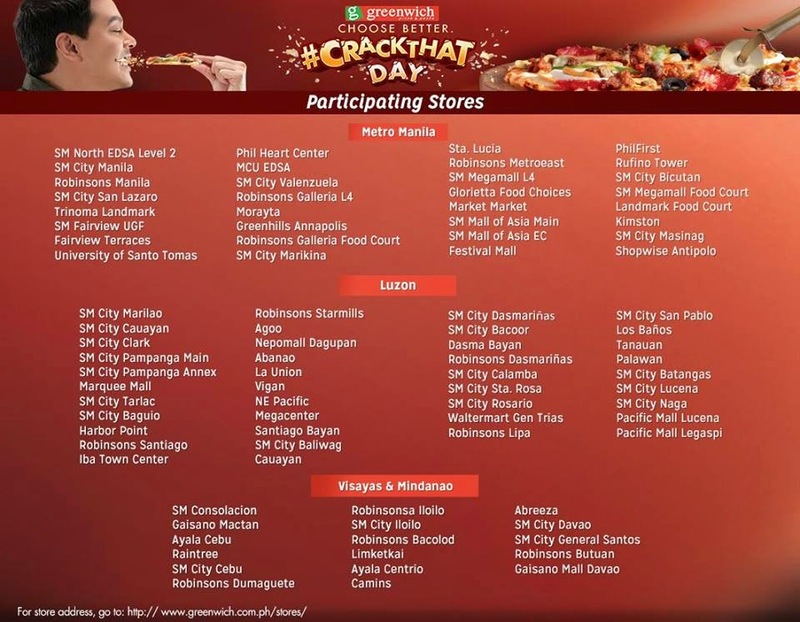 Promo: Greenwich Pizza Thins for FREE! They will give away as much as 10,000 Pizza Thins for Free this coming July 16, 2014! As per Greenwhich, they will start giving away FREE pizza at 2:30 in the afternoon. (First 100 customers get FREE Double size Pizza Thins). Make sure to check the participating store on above photo and see if there's nearest branch from your location.